Visiting small out-of-the-way towns can sometimes lead to pleasant surprises. This happened to me in Mukinbudin, near the fringes of Western Australia's wheat belt, where I found some cheap but unexpectedly good accommodation in the town's caravan park. I'm referring to the small budget railway cabins, of which the park has four. They are not self contained - you need to make use of the shared ablutions block - but they provide basic comfort and reasonable space for two people. Comfortable beds, a small fridge, TV, a veranda to sit on, all kept clean and inviting, with standard caravan park facilities to make use of. For $25 per night I though it was a bargain. Even though the price has since risen ($32.50 for two when I last looked), similar cabins in more popular places can be two or three times that much. 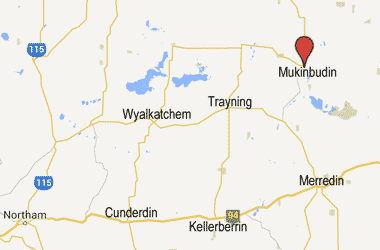 When I arrived in Mukinbudin (referred to locally as Mucka, or Muka), my expectations were admittedly not high. 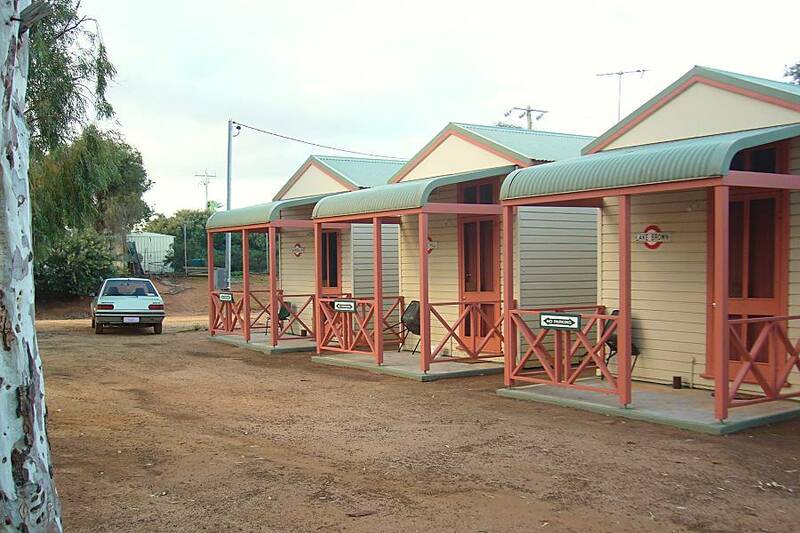 Other caravan park accommodation I've used or seen in WA's wheat belt tended to be either expensive and okay, or reasonably priced but unpleasant. The caravan park I stayed in at Merredin claimed to be the cleanest and best in WA ... but it's ablution block was anything but, and the door wouldn't even shut properly on the van I used. So when I arrived in Mukinbudin, away from well travelled routes, finding somewhere to sleep which was both decent and relatively cheap came as a pleasant surprise. So what is the catch? That's what I wondered, but after my stay all I could think of is that Mukinbudin is a bit out of the way for most travellers, and consequently doesn't get many passing through. There were only two other parties staying in the park when I visited, though to be fair it was in winter. Lower prices might lure those who might not otherwise have thought of staying there. 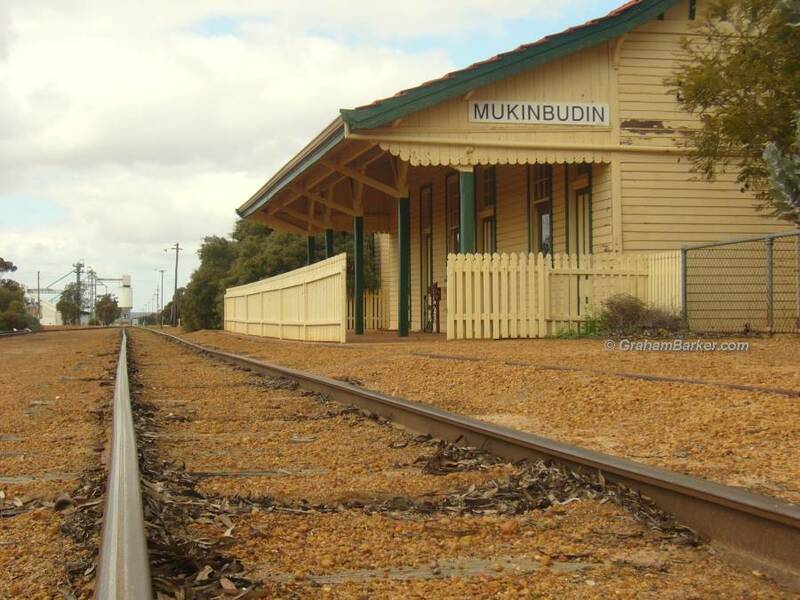 From what I've heard, Mukinbudin has strong community spirit, and my small experience of this neat and tidy town supports that. There are some interesting rock formations and nature reserves in the area, making it a good spot to visit if you're keen to explore the less travelled places. Especially in the wildflower season! Having cheap but decent cabin accommodation is a reward for those who do.